Gowanus, as we know it, is disappearing before our eyes. 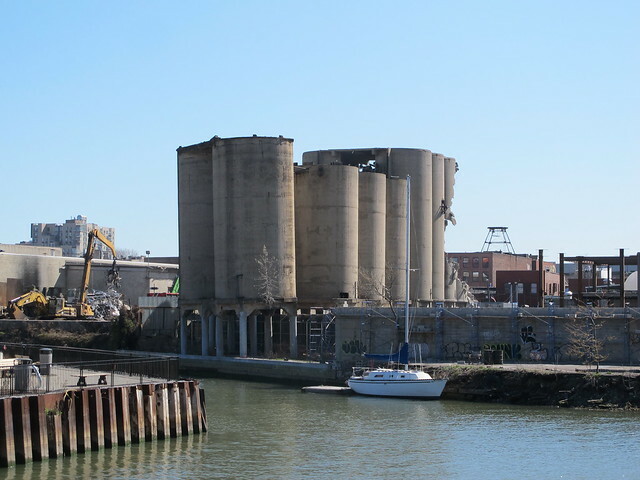 Barely days after the demolition of the iconic silos at Carroll Street on the shores of the Gowanus Canal, comes news that the Burns Brothers coal pockets are in the process of being torn down. The photo above was taken yesterday by my friend Eymund Diegel. By today, Friday, the concrete silos opposite Whole Foods at 6th Street between 2nd and 3rd Avenue will be history. Eymund also sent along the kite photography pictures below, which he took in 2012.
were used to move and store the coal from barges on the canal to wagons and, later, trucks for delivery. The eight pockets closest to the water were built between 1915 and 1924, and by 1938 there were 10 more. These 40- and 50-foot tall structures are no longer used today but remain as relics of the canal’s crucial transportation role. As Eymund adds, "the pockets were an intelligent way of reducing the area needed for the coal piles. I understand the pockets were also used for industrial minerals / oxides after their coal use. 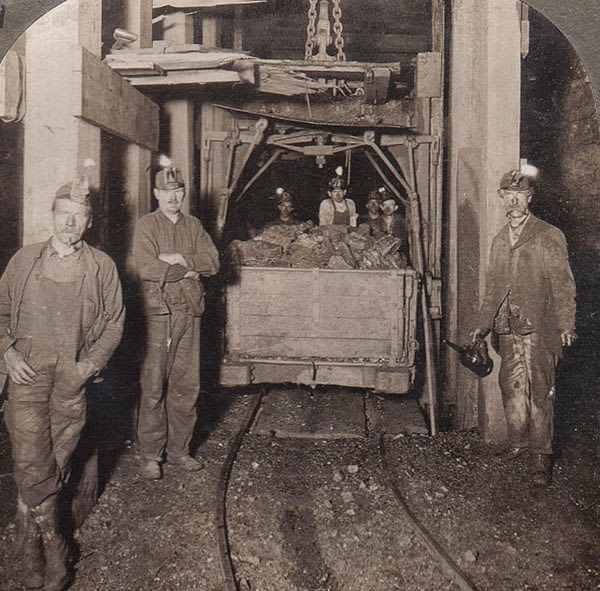 The coal would come from Pennsylvania via the newly built barge and canal system." 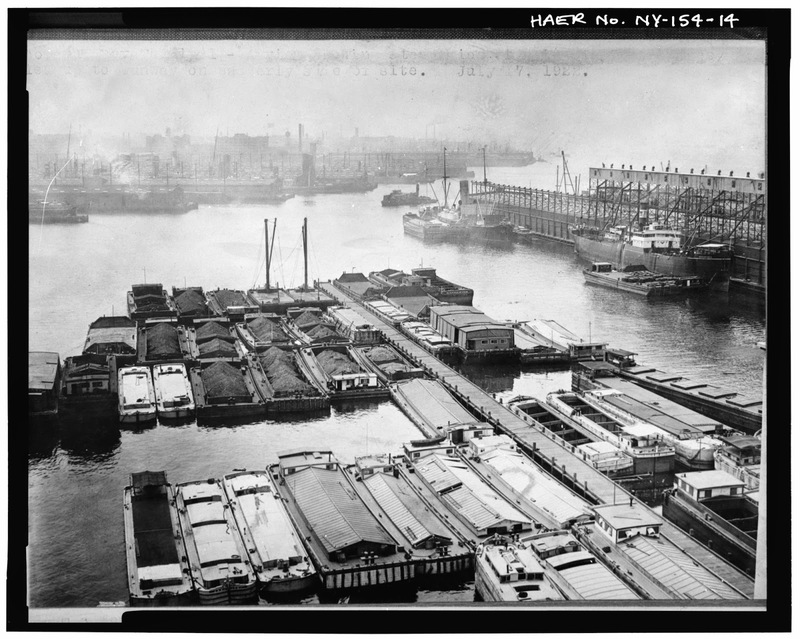 And here is a historic photo of Gowanus Bay Manufacturing Gas Plant coal barges at Navy Pier Grain Terminal provided by Eymund. The two kite photographic images below were taken by the Gowanus Canal Conservancy's Gowanus Low Altitude Mapping Program in 2012. 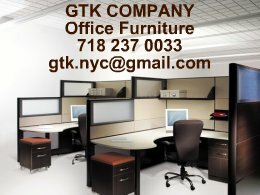 It is simply breathtaking with what speed the Gowanus Canal area is changing. It would seem that every day, the landscape is changing to make way for a future that will no doubt be very different. 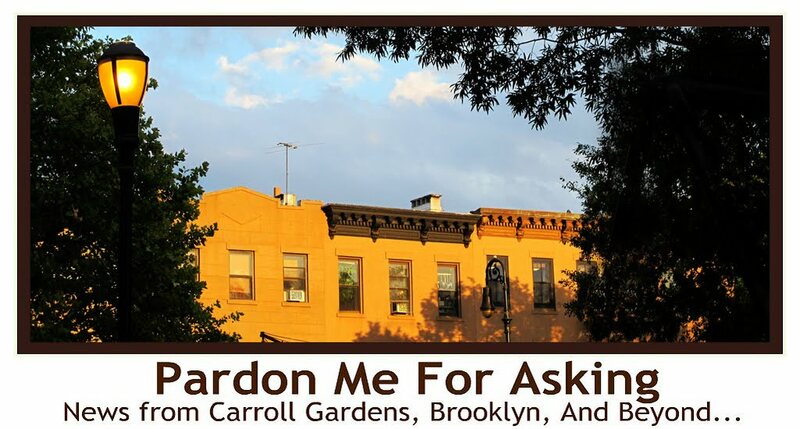 The demolitions that are now underway no doubt illustrate the incredible pressure Gowanus is under to change from a mostly manufacturing area to one that will allow more housing. 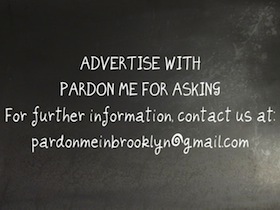 I simply cannot understand why you would lament the loss of a symbol of one of the reasons the Gowanus Canal is the polluted cesspool it is today. I can't imagine these "coal pockets" have served any function for years. Let's pick our battles carefully and preserve our tears for things that matter, like many people potentially losing another store to buy reasonably-priced food (Met Food on Smith for sale). I agree with Bully. I see absolutely no problem with tearing down this useless sort of abandoned material with hopes of beautifying and cleaning up the entire area. Above commenters , I believe Katias lament is based on the vanishing clues of our city's past and the people who made this city what it is. Industry, freedom and heat for your once common brick rowhouse was what roared this country into the present. Will there be no reminders of a place where men and women toiled for independence? Just glass towers and characterless sprawl is no inspirational landscape. Your grandchildren will not wax poetic about the greatness of Lightstone but hopefully marvel at the true pioneers on the pages of their history books. Don't ever forget who built this place you call home, your 100 year old brownstone is still standing. Instead of waxing poetic about the inspirational coal towers, I'd rather my future grandchildren enjoy soon to be beautiful, formerly polluted and toxic Gowanus Canal. Paying homage the sort of structures and businesses that led to the illegal and immoral pollution of the entire area is not something I will ever do, and luckily, your outdated mindset will also soon be a thing of the past. Perhaps a plaque to the independence toilers could be added to the area to keep their coal-coated memories alive. Being around this neighborhood for many years I agree that the landscape has been changing rapidly. 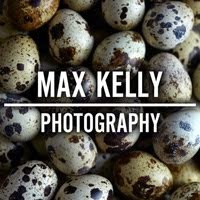 I just wanted to clear up some statements that have been made on this site as well as some others. 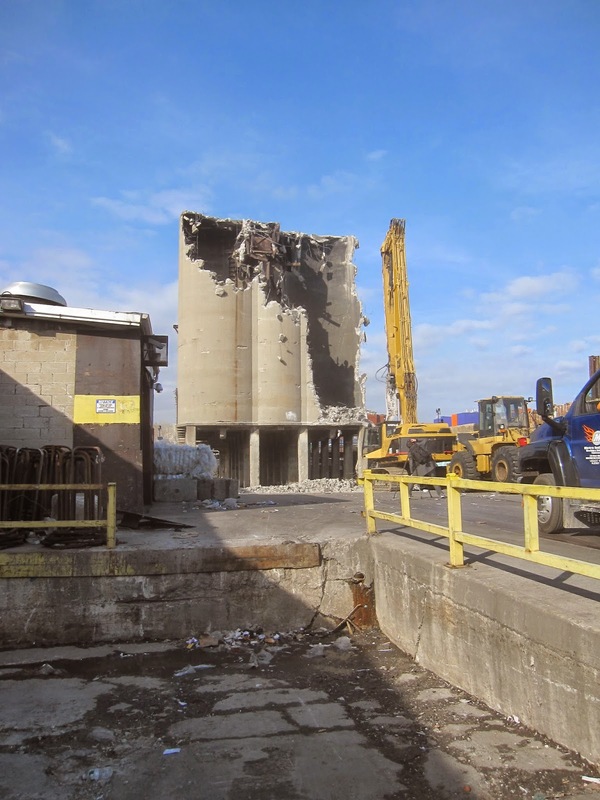 While we are in the process of demolition for the silos, and sad to see them go, this has been mainly due to the deterioration of these old structures over the years. 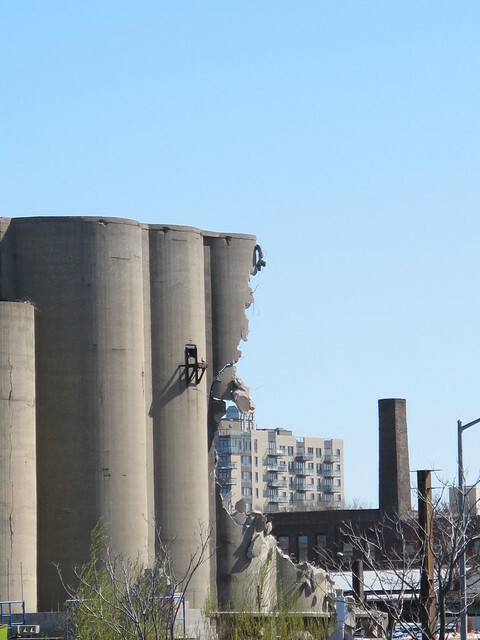 While we have done some costly maintenance to the silos, the city of NY and our engineer have made recommendations that the structures should be demolished due to safety reasons. 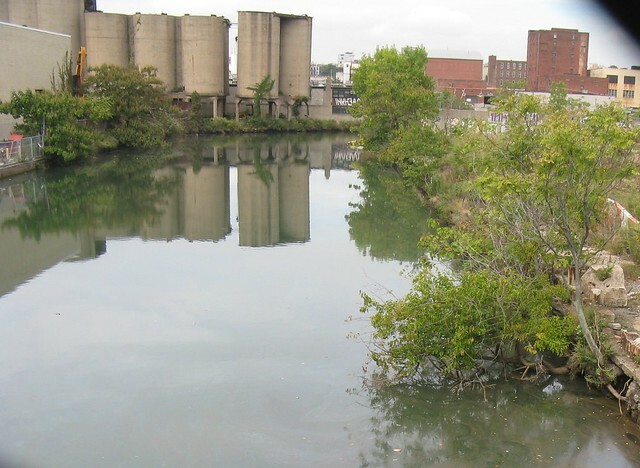 Having lead numerous cruise tours up Gowanus Canal since 1997, I have to say it was one of Brooklyn Center for the Urban Environement's most popular tours ever (see the film Lavender Lake for the first cruise). BCUE started the tours as part of series of public engagement and environmental education initiatives on the Canal back in the late 1990s. We have come a long way, and in fact people came from as far as Germany and Japan came not to see slick developments but the gritty city mixed with nature returning. The juxtaposition is what makes Gowanus intriguing. Paradoxes and a dialectic should be allowed to exist on the waterway. 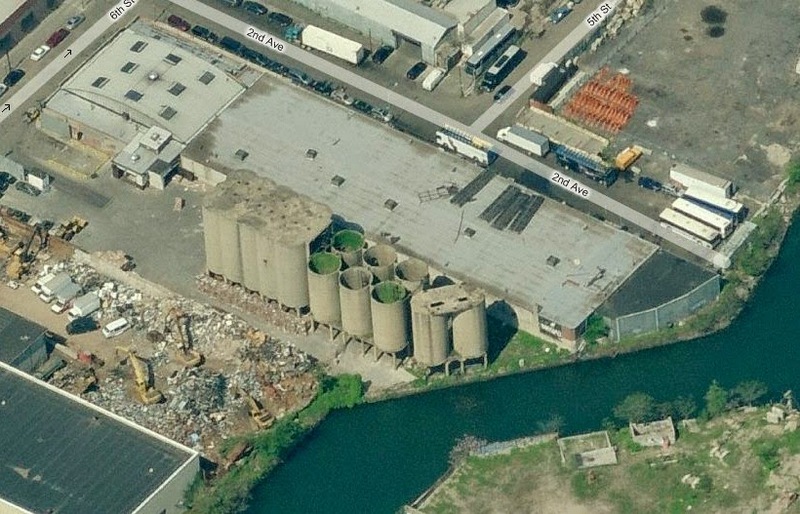 See for instance Concrete Plant Park on the Bronx River. And maybe the birds know something we don't: they too saw a home in the making in the silos. Why not leave a few up as a historical marker along the edge? Perhaps tax credits could be used to help shore up the some of the silos, if any still stand. Couldn't it pay for itself as an attraction and film site? Celebrating the silos does not necessarily mean celebrating pollution. One, I always found them interesting forms sculpturally. Two, retaining vestiges of the past can enrich a site visually and offer aids for place-based education. Sanitized erased sites lose a lot, to my mind. Former industrial sites CAN be made into attractions as Dan Wiley proposed. Germany's Ruhrgebeit is an amazing example.